Pensacola State College is grateful for the many generous donations the Lamar, Reilly, and Switzer families have made to our community and to the college. Most recently, we have been honored to watch the construction of the Charles W. Lamar Studio–anticipated to become a preeminent art gallery and instructional facility at the Anna Lamar Switzer Center for Visual Arts. 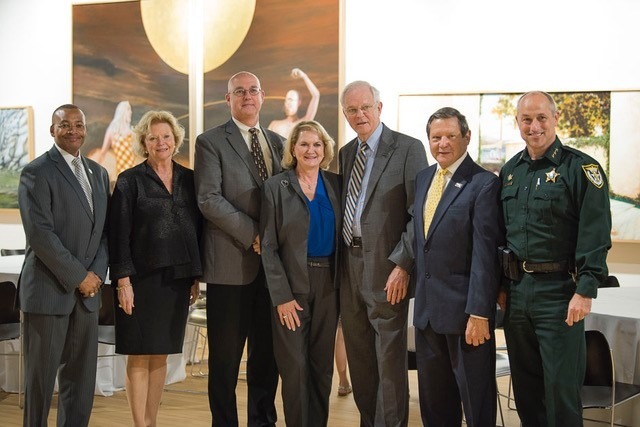 This most recent investment allows Pensacola State to further enhance the College’s leadership in Visual Arts education in Northwest Florida. As founders of Lamar Advertising Company, members of the Lamar, Reilly, and Switzer families passionately believe in the impact that arts education has in building great colleges and bettering communities. In 1998, the Lamar, Reilly and Switzer families made a generous $1M gift to Pensacola State for the enhancement of the college’s Visual Arts program. The gift led to the opening of the Anna Lamar Switzer Center for Visual Arts. Believing that great experiences extend beyond physical spaces, family members generously funded three separate endowments supporting the Visual Arts Department. The Anna Lamar Switzer Endowed Teaching Chairs, which recognize and reward instructors in the Visual Arts Department. 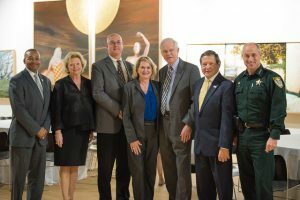 The Switzer Visiting Artist and Lecture Series Endowment, which provides support by bringing local, state, national, and international artists to Pensacola State and the community. Scholarships to students with financial needs, paving a way for these future artists to realize their dreams and achieve career success. In addition, Lamar Advertising Company and Pensacola State partnered to create an internship program that provides career opportunities to the College’s Graphic Design Technology students. Many of the internships have led to full-time employment with Lamar Advertising for Pensacola State graduates. Since their initial investment in 1998, the Lamar, Reilly and Switzer families have provided gifts resulting in more than $4M in scholarships, program enhancements, and capital projects to Pensacola State College. In August 2014, the Lamar, Reilly, and Switzer families committed an additional $1 million to complete the Visual Arts facility with the addition of the beautiful Charles W. Lamar Gallery, named in honor of the family patriarch. 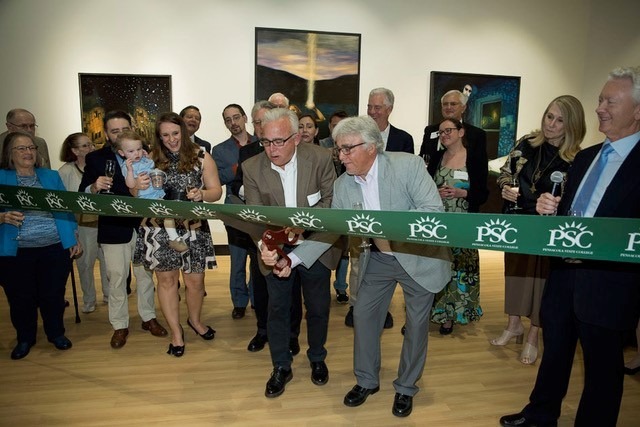 Now open, the facility adds 10,000 square feet of instructional and gallery space to the Anna Lamar Switzer Center for Visual Arts at Pensacola State College. 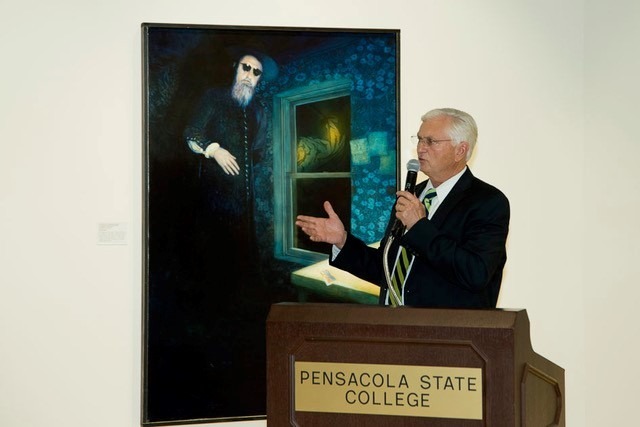 The Lamar, Reilly and Switzer families have a long tradition of not only contributing significant resources to Pensacola State College but to the Pensacola community as well. We are honored to open the Charles W Lamar Studio to the general public on February 21st. PSC President Dr. Edward Meadows talks about the support from the Switzer, Reilly, and Lamar families before the ribbon cutting.